Thanksgiving is a day to celebrate spending time with loved ones and enjoying delicious food. The Roanoke Valley in Virginia’s Blue Ridge offers a great selection of restaurants that offer a special setting where you can focus on friends, family and your Thanksgiving feast without having to worry about the details of cooking and cleaning. They’ll take care of the turkey, stuffing, sweet potato casserole, cranberry sauce, and pumpkin pie. You just bring your appetite! Whether you’re looking for a full-scale holiday buffet, a menu that offers a few of the traditional Thanksgiving favorites, or a place where you can pass on the turkey, there are plenty of tasty options in Virginia’s Blue Ridge! 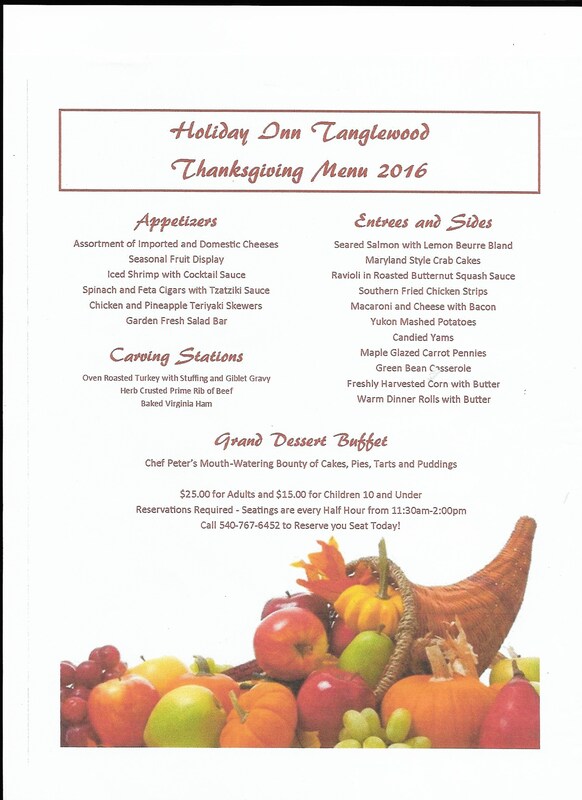 Here’s a list of restaurants in Virginia’s Blue Ridge that will be serving on Thanksgiving. NOTE - THIS LIST IS FOR THANKSGIVING DAY 2016. 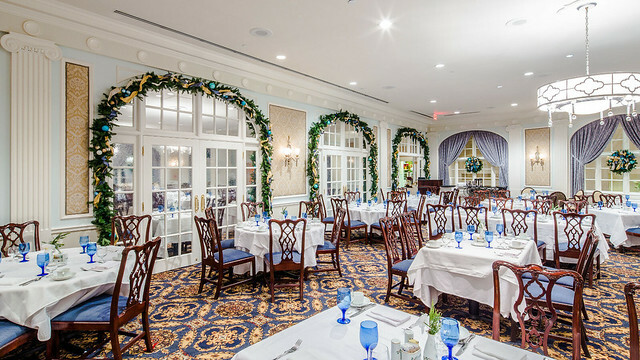 The following restaurants will feature special Thanksgiving buffets. 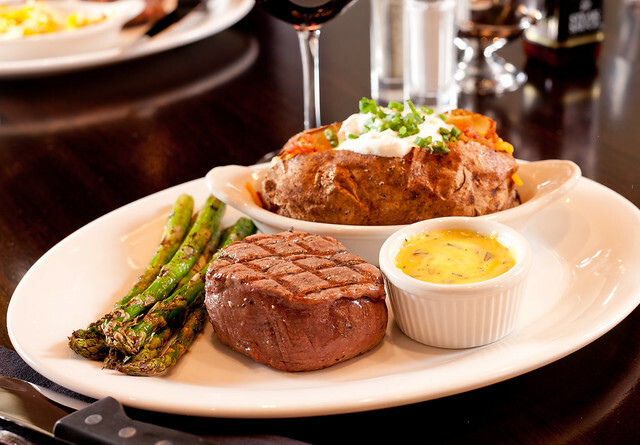 In many places, recommendations are highly recommended/required so don’t wait to book your table! 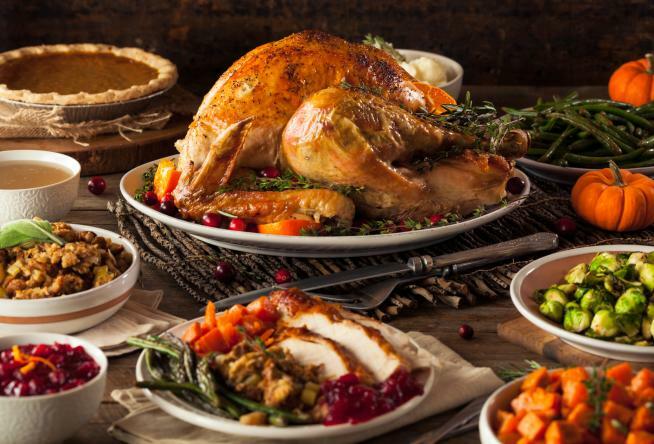 The following restaurants will offer a special Thanksgiving menu, but these are not buffets. The following restaurants will be open for Thanksgiving, but will not be serving traditional holiday food. For more seasonal flavors, check out our list of 15 Pumpkin-Spice Products You Have to Try in Virginia’s Blue Ridge! You can also get more dining ideas by visiting our Restaurants section and looking at our Food & Drink Sample Itinerary.